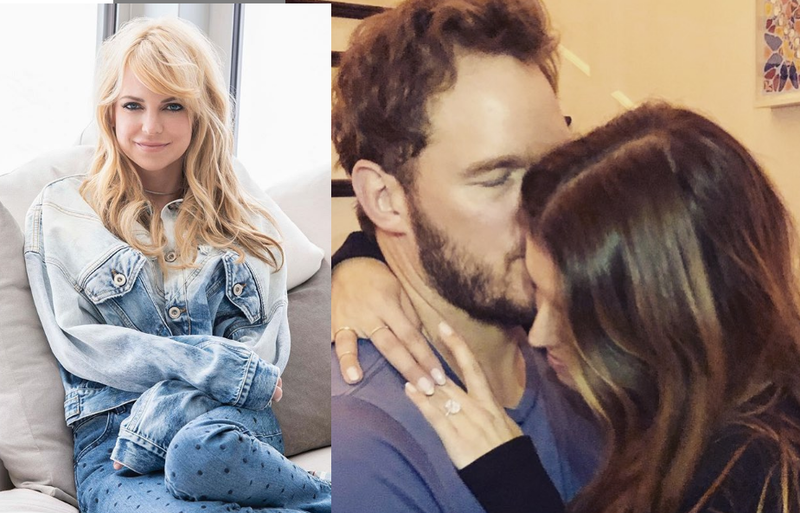 Apparently Anna Faris got to know about the engagement of her ex-husband Chris Pratt from himself via text and Anna's responds to be more than happy for him to get a new life partner. 'Overboard' actress Anna Faris, 42 's ex husband 'Guardian of the Galaxy' Starlord Chris Pratt, 39 has been recently engaged to his girlfriend Katherine Schwarzenegger, 29 after four months of dating which took internet by storm to which Anna reveals it to be informed by his ex husband himself via text. During latest episode of Anna's podcast, she talked about the topic of her ex Chris's engagement to Katherine to which she showed very positive response. Anna revealed that Chris had texted her morning with the news. She said, “Chris texted me this morning and he was like, ‘I proposed to Katherine last night.’" She thought the news was amazing and later texted him back saying, "I just wanted to remind you I’m an ordained minister.’ I’m not very good at it …” “I’m so happy for them,” She added. “I knew that it was gonna happen and I love her and I love him and I’m just so happy that they found each other. Anna even congratulated the happy couple in Instagram commenting on the "Avengers: Infinity War" star's engagement announcement: "I'm so happy for you both! Congratulations!" Anna and Chris announced divorce in December, 2017 after 9 years of marriage and also has a son together. Their divorced was finalized in October, 2018.